Paul Tushinski, C.S., is a civil litigator. He was called to the Bar over 30 years ago and is a partner of the firm. Paul served as Managing Partner of the firm from 2002 to 2018. He was admitted to the Ontario bar in 1985 after receiving his LL.B from the University of Windsor – Dean’s Honour List. He has received special calls to the bars of Nova Scotia and Nunavut. He has been certified as a Specialist in Civil Litigation by the Law Society of Ontario (C.S.) since 1995. Paul has appeared at all levels of court and has argued cases on products liability, insurance coverage issues, class proceedings, hospital liability, access to information, and numerous jury and non-jury trials. He has been included in the Best Lawyers in Canada since 2008 through to the present in the areas of Commercial Insurance Law, Personal Injury and Products Liability. He is listed in Lexpert as one of the Most Frequently Recommended leading practitioners in both Commercial Insurance Litigation and Personal Injury-Defence and Repeatedly Recommended in Products Liability. He is a Fellow of The Litigation Counsel of America. He focuses exclusively on defence and represents a broad range of insurers and self-insured corporations. His practice includes claims involving products liability, professional liability, construction claims, class proceedings, environmental disputes, property, general liability and complex insurance coverage matters. Paul has lectured extensively for the Law Society of Ontario, the Canadian Bar Association, the Ontario Bar Association, the Advocates' Society, the Canadian Defence Lawyers Association, the Toronto Lawyers Association, the Canadian Institute, Insight, and various insurers and self-insureds on a variety of insurance based topics including insurance coverage, products liability, class proceedings, professionalism, ethics, social hosts, jury trials, experts, etc. He is the Tort Law contributor to the Toronto Law Journal. Paul is involved with various legal associations. He is a Past President and former Trustee for the Toronto Lawyers Association, a Past President and a Founding Member of the Canadian Defence Lawyers Association, a past Director of the Advocates' Society and a former member of the Toronto Bench and Bar Committee. He is the recipient of the 2016 Lee Samis Award for Excellence from the Canadian Defence Lawyers Association, as well as the 2016 Ontario Trial Lawyers Association (Plaintiff Bar) recognition as a leader of the defence personal injury bar. He is a member of the Ontario and Canadian Bar Associations, the Canadian Defence Lawyers Association, the Advocates’ Society, the Medico-Legal Society and the University Club of Toronto. Paul graduated from the University of Windsor Law School in 1983 where he earned his LL.B. Paul was called to the Ontario Bar in 1985 and has received special calls to the Bars of Nova Scotia and Nunavut. Paul was on the Dean’s Honour Roll at the University of Windsor in 1983 where he stood in the top 10 out of 150 graduating students. At York University, he received a Scholarship in 1979. Paul has been repeatedly recognized in “The Best Lawyers in Canada – Commercial Insurance”. 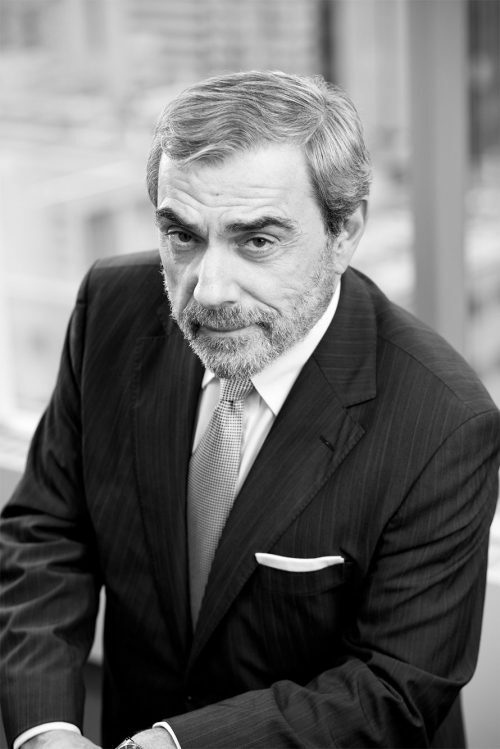 He is the recipient of the 2016 Lee Samis Award for Excellence from the Canadian Defence Lawyers Association, as well as the 2016 Ontario Trial Lawyers Association (Plaintiff Bar) recognition as a leader of the defence personal injury bar. Paul has lectured extensively for the Law Society of Upper Canada, the Canadian Bar Association, the Ontario Bar Association, the Advocates’ Society, the Canadian Defence Lawyers Association, the Toronto Lawyers Association, the Canadian Institute, Insight, Infonex, various insurers and self-insureds as well as annually at the Dutton Brock Winter conference on a variety of insurance based topics. Paul mediates claims involving personal injury, products liability, professional liability, construction claims, class proceedings, environmental disputes, property, general liability and complex insurance coverage matters. Please contact Gay Norton at gnorton@duttonbrock.com to arrange a mediation. Paul is involved with various legal associations. He is the Past President and Trustee for the Toronto Lawyers Association, Past President and a Founding Member of the Canadian Defence Lawyers and a Past Director of the Advocates’ Society.